A getaway for the wealthy, famous and French, as well as sun-worshipping vacationers from all walks of life, Saint Barthélemy offers an island paradise both above and below its sparkling Caribbean seas. 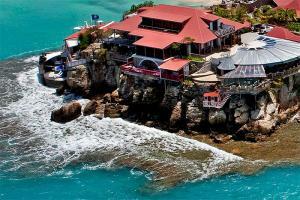 St. Barths Our 5-Star classification designates those select properties that provide exquisite service and amenities. The discriminating traveler will find the accommodations, ambiance, dining, and staff assistance of the highest caliber. These properties offer the utmost in luxury and will provide an outstanding experience. An intimate escape into ultimate tropical luxury.